Here’s what’s up in the world of TV for Sunday, May 21. All times are Eastern. 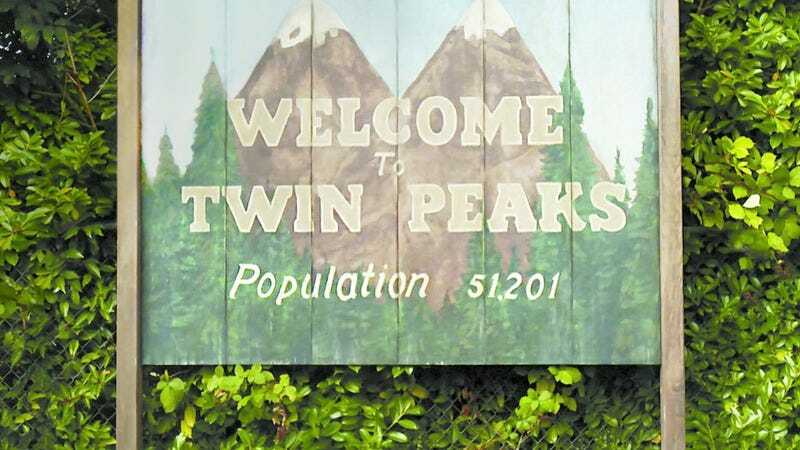 Twin Peaks (Showtime, 9 p.m.): We’ve been talking about little else for weeks, but tonight the wait is finally over, as David Lynch’s lauded series returns to the small screen after twenty-some years. Emily L. Stephens is all set up with some damn fine coffee for these first two Twin Peaks hours and all the hours to come. In the meantime, catch up with our updates on all the characters, five vintage Twin Peaks episodes to get you started, and a look at Lynch’s one-season sitcom and 1990 Cannes victory. The Path (Hulu): Speaking of weird small towns, did you know that The Path had a second season? After a stellar first-season outing, it’s still fun to watch Aaron Paul and Hugh Dancy duke it out for the leadership of this outfit that claims it’s not a cult when it’s totally a cult. Season three doesn’t start until next year, so you still have plenty of time to catch up and watch the Meyerist movement attempt to spread its message even further, expanding from its rural compound to establish a foothold in New York, even as Meyer heir Sara (Michelle Monaghan) struggles with certain disturbing information she discovers about the new-age religion.